I know, I know - where have I been? Clearly not posting anything. But I have been baking! Just slow on the blog roll, promise I'll try to get this stuff up! Everyone and their mom has made this recipe. I had extra chocolate and candy canes so I figured, what the hell...let's give it a roll. 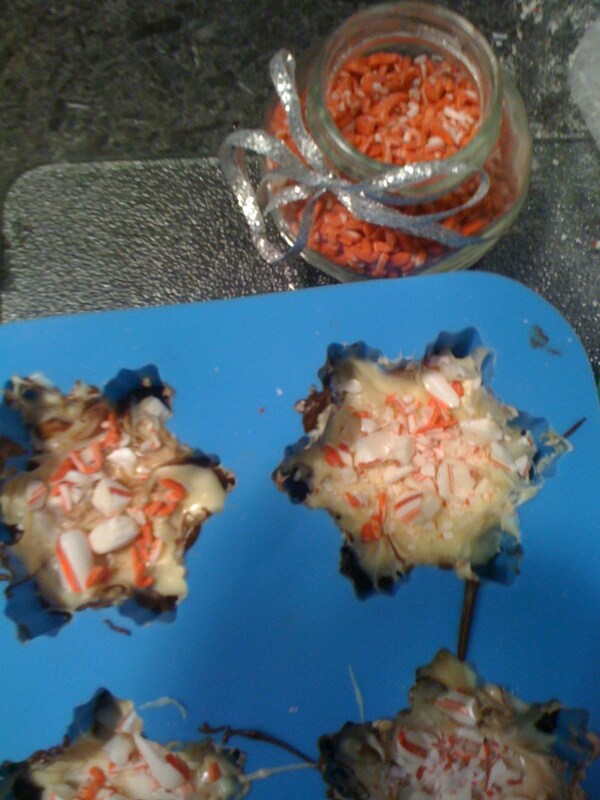 It's yum and cute and if you are out of ideas for gifts - an awesome cadeau for the holidays! Take the semi-sweet chocolate and pour into heat-proof bowl. 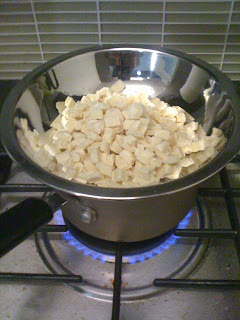 Put the bowl over a pot of boiling water and melt. I got these molds from Target for $1. No joke. 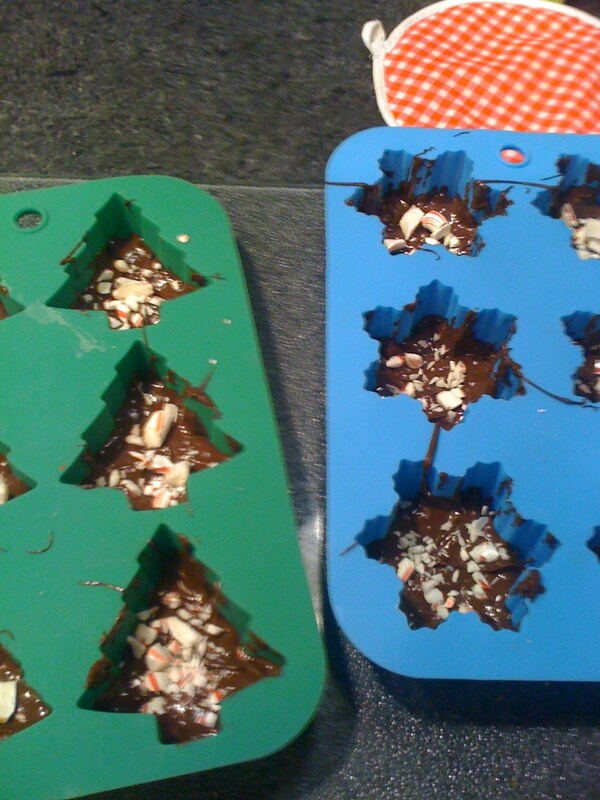 If you don't have them - roll the chocolate out on a sheet of baking paper. I poured into the molds, it's a little messy but no worries - that'll clean itself up later. Take the candy canes and put in plastic ziplock bag. Bang with a hammer or the blunt end of a knife, or something - anything really until they're crushed. 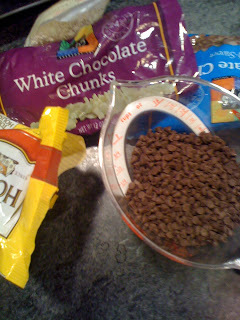 Sprinkle one round on top of the brown chocolate. 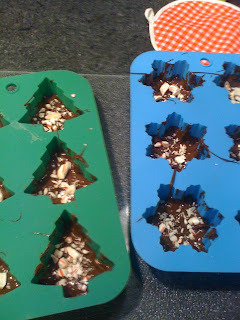 Pour on top of the brown chocolate and then sprinkle with candy canes again. I had some cute candy cane sprinkles and used those too - although I don't think anyone noticed. I made this with dark chocolate just yesterday and it came out great. I love how your recipes are so different! They all sound amazingly delicious.